London based Swedish DJ and Producer Martin Bundsen found his love for electronic music at the age of 11. He started DJ’ing in 1997 after spending a year north of the house capital Chicago. Martin’s love for music is mirrored in his productions as well as his DJ-sets, playing anything from soulful, melodic deep house to banging techno. He is most known for his deep house, Chicago influenced house and rhythmic tech house journey’s, constantly tweaking and playing around with the music, making it impossible to stand still. In 2008, Martin moved to London where he hooked up with Filth & Splendour who took him in as one of their new residents at Itch Records parties all over London. In 2009, Martin signed his first track to Itch Records, "Elements", which was remixed by upcoming stars, Betoko and Type1. In October 2010 Martin's remix of Type1's remake of the techno classic by Ron Trent, "Altered States" was released on Malfunktion Records. The German label ODA Digital Records saw Martin's potential as a remixer and producer and had him remix two of their upcoming releases, "No More Bus" by Turkish producer Mehmet Akar and German producer Bias Cut's "Ride My Pony", supported by Markus Schulz. In 2011, Martin released his first EP called "A New Beginning" on Housevisions Records that climbed to number 33 on the progressive release chart. One of the tracks from the EP called "Turn Me Loose", then got picked up by two other labels and was featured on three different compilations. Soon after, Martin's track "It's About Time" was featured on a compilation from White Island Records, that in the beginning of 2012 released Martin's second EP called "Endless Possibilities". ODA Digital Records just released Martin's 3rd EP called "Style Wars", named after the American graffiti documentary, with remixes from Bias Cut and Andrea Colina & Victor Elle. In the spring of 2012, Martin joined Avalanche Ibiza and became one of their new residents, both in London (McQueen) and on the island of Ibiza (La Plage De L'Elephant, Destino TOX & JAG Beach Club). On the 2nd of July Martin released his EP "Vacation Mode" on Baroque sub label Rebel with a banging remix from K-Pax. In 2013 Martin teamed up with fellow Avalanche resident Zam Stuart and produced a real tech house monster called "Belsize Beats" that was picked up by Miami based label Heavenly Bodies and remixed by Doneyck. The release was very successful and after just a few days it got to 27th place on the Beatport Top 100 Tech House Releases Chart. After the success of the first release Martin was asked to remix several upcoming releases, so he teamed up with childhood friend Joachim Sundgren which resulted in a techno stomping remix of "Praise You", a remake of Fatboy Slim's old classic. With loads of releases on Heavenly Bodies in the pipeline, Martin signed with legendary New York label Nervous Records and released his track "Reason To Love You" Feat. Anduze which was remixed by legend Teddy Douglas and Gion. He is currently working a remix for Nervous Records as well as various exciting projects together with some of the world’s biggest musicians. 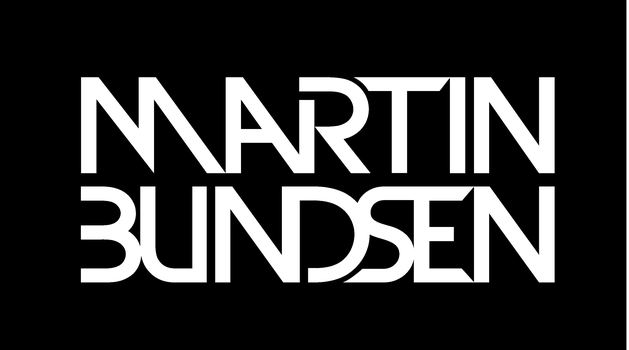 Since his move, Martin Bundsen has played regularly at London top venues; Pacha (Pure, Eivissa, and Liaison), Ministry of Sound, SuperMartXé (Pulse - London), McQueen (Avalanche Ibiza), Home House, No.5, The Fridge, The Egg, The Driver, Inigo, Gigalum, Lola's Boutique, Beyond @ Area and Thirst Bar (SOHO). US venues include Liquor Lounge, Red Bar, and Kung Fu Lounge in Miami. La Plage De L'Elephant, JAG Beach Club (Avalanche Ibiza) Ibiza, Spain, Ark Bar Beach Club in Koh Samui, Thailand, Swedish venues include Berns (Asiatiska, Tornamento, EL, and 2.35:1), Nordic Light (Sessions & RoKa Nights) & F12. You can find his latest releases on Nervous Records NYC, Heavenly Bodies, Blue Dye, DOJO Music, Rebel (Baroque Records), Baroque Digital, Golden Needle Records & White Island Records.